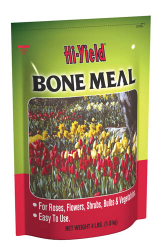 Provides a slow release form of natural Phosphorus to help plant produce sturdy root systems, hastens maturity, and stimulates plant growth. For use on bulbs, Roses, flowers, and shrubs. Excellent for vegetable gardens.